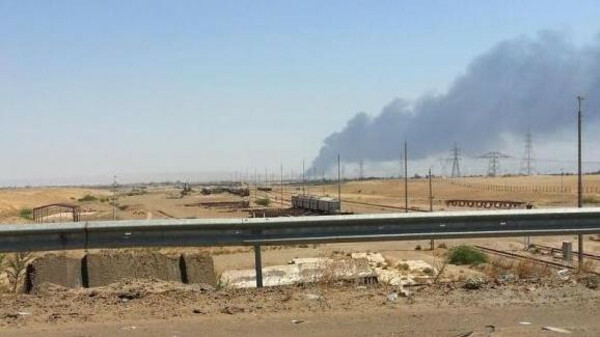 Smoke rises from a oil refinery in Baiji, north of Baghdad. Iraqi security forces entered the country’s largest refinery for the first time on Tuesday after months of battling Islamic State of Iraq and Syria (ISIS) militants who had surrounded it, a police colonel and state television said. If confirmed, the recovery of the facility could provide critical momentum for government forces charged with restoring stability in a country facing its worst security crisis since dictator Saddam Hussein was toppled in 2003. “The first Iraqi force, the anti-terrorism force called Mosul Battalion, entered Baiji refinery for the first time in five months,” police colonel Saleh Jaber, of the Baiji refinery protection force, told Reuters. State television flashed news of the advance and broadcast what it said was live footage of the complex from outside its walls. No security forces were visible. “In this area, terrorists were stationed to the left and right. If God is willing, Baiji will be the main key to liberating each span of Iraq,” the commander of provincial security operations, Abdel Wahab al-Sa’adi, told the broadcaster. ISIS seized the city of Baiji and surrounded the sprawling refinery during that first advance in June. U.S-led air strikes have prevented the Islamist group, which swept through northern Iraq in June almost unopposed by the Iraqi army, from making significant further territorial gains for its self-proclaimed caliphate.